Steel Mart India Is One Of The Largest Manufacturer Of MS / GI Pipe Fittings in India. 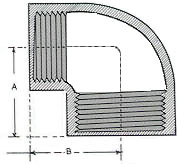 MS / GI Pipe Fittings. It is a soft, malleable, and ductile metal with very high thermal and electrical conductivity. Our MS / GI Pipe Union are accessible to our valuable customers in different range of diameters (d), wall thicknesses (w) and sizes (nom. 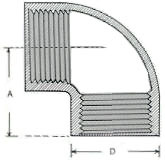 Pipe Size) in customized form (as per customer requirment or order requirment) and also at quite affordable rates. 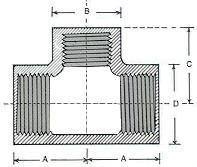 Meanwhile, we offer different types of these fitting such as MS / GI Reducing Tee, Class 300# MS / GI Male Tee, MS / GI Ferrule Pipe Fittings, MS / GI Elbow. Our Best Offers On Wide Range Of MS / GI Fittings such as MS / GI Reducing Elbow, MS / GI Pipe Cap, MS / GI Socket, MS / GI Tee (MS / GI Tee, MS / GI Reducing Tee) etc. MS / GI Elbow can be used in central vacuum systems, drainage, water supply, sewers, vents, gas lines, HVAC and many applications where plumbing fittings is used to join sections of pipe. We also manufacture Galvanised Iron Reducing Elbow and Galvanised Iron 3 Way Elbow which is also extensively used in all applications of pipe fittings. MS / GI Elbows are available in varied specifications and sizes. We provide reducing elbows in different specifications and sizes in order to fulfill the varied demands of our valued clients. We manufacture these products from Galvanized Iron which are used in all applications of water pipe fittings. 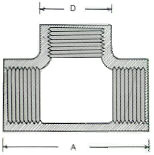 Our products are manufactured such to perform reliably and provide leak free connections. Our varied range of MS / GI Tees are widely used in chemical, machinery, construction, petroleum and many other industries uses pipe fittings. These are available in various nominal sizes and specifications. With the assistance of skilled and dedicated professionals, we are able to satisfy different needs of our clients very efficiently. 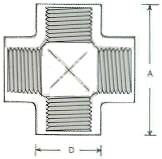 We are leading and well known MS / GI Pipe Fittings Exporter in India. Our offered MS / GI Reducing Sockets are rigorous tested on various parameters ensuring their optimum quality. We have tended to keep an enormous stock of these to meet the bulk and immediate requirements of the clients. Copyright © 2018 | All Rights Reserved By Steel Mart India | MS/GI Pipe Fittings Manufacturer, Fabricator, Stockholder, Suppliers, Traders, Wholesaler, Dealer, Distributor, Importer, Exporter, Stockist In India.